The Kirsten bracelet is an expression of bohemian charm. 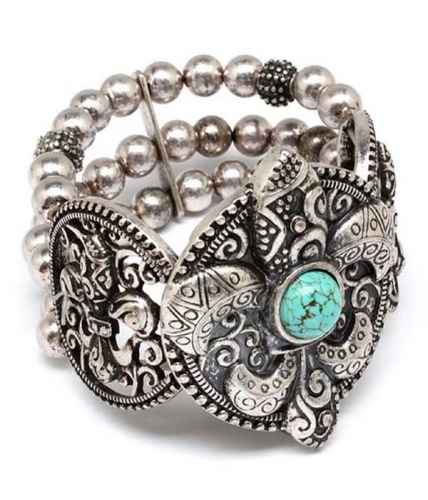 A tri-strand bracelet adorned with meticulously detailed silver Tibetan beads and a natural turquoise stone. Stack it with more silver for gypsy-spirited accessorising. Purchasing jewellery online here at Oz Bling is simple and fun. Feel most welcome to contact us for any help you may need.